The small classroom wing was built in 1963 for this remotely located meetinghouse. 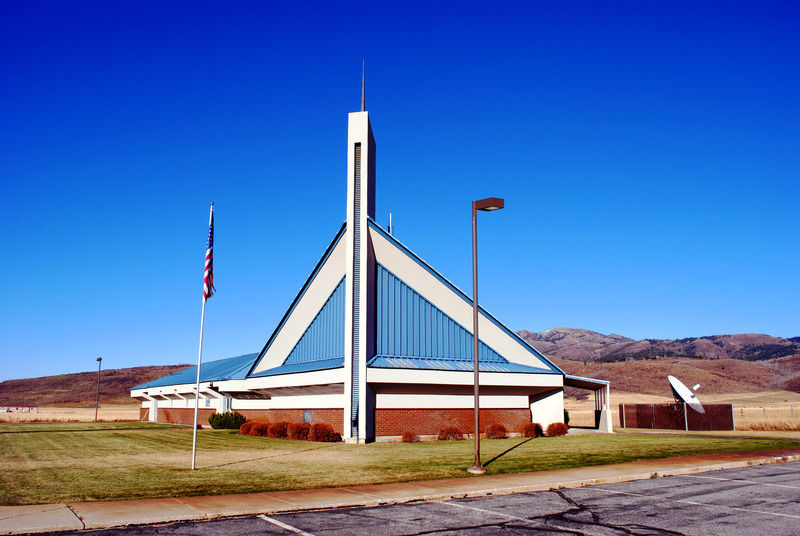 By 1981, the building was completely remodeled including the addition of a large chapel based on the Aspen Standard plan. The chapel is unique in the 45 degree orientation of the chapel to the classroom wing, the eave detailing, the blue standing-seam metal roof (including the use of the roofing material as siding), and in the steeple design.